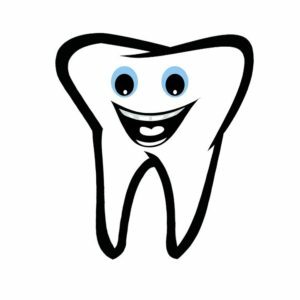 We will provide emergency dental care to individuals experiencing pain and/or infection and who cannot afford treatment in a private clinic. Referrals for qualified clients can be obtained at agencies such as the Salvation Army Food Bank and the Ooknakane Friendship Center. We also see patients referred by agencies such as the Brain Injury Society, Mental Health, Walk-in and Emergency Centers, Dentists, Doctors, Victim’s Assistance and many other agencies who work with marginalized populations within the South Okanagan. Referrals are received by email, fax and phone. 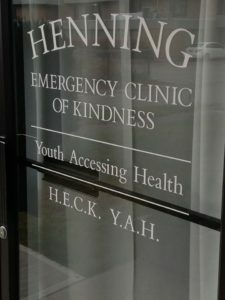 Clients using the Henning Emergency Clinic of Kindness must meet three criteria: they cannot already have a dentist; they must be in pain or have an infection; and they must show evidence of being on a low or fixed income. A copy of your Tax Assessment and your BC Care Card will be required when filling out forms. We do our best effort to keep our services on a schedule, but we cannot predict how long each client will require as their appointment is often the first time we see them. Typically, we assess and do as much work as we can on that very day. Appointments are scheduled as first come, first served. If we know the client ahead of you will require more time, we will tell you, so that you are not waiting for lengthy periods. Second and follow-up appointments are also made, if possible. Thank you for being patient which waiting for your appointment. A minimum $20 user fee (to cover basic costs of materials used). Donations appreciated and gladly accepted. Respect for our alcohol & drug free environment. CAN H.E.C.K. HELP ME WITH DENTURES? We can help you navigate and understand the process of getting dentures and what the costs might be. WHAT IF I HAVE AN INFECTION AND PAIN NOW? If we don’t have a clinic scheduled in the upcoming week, we suggest that you go to the hospital and ask for the dentist on call for immediate treatment. Send us a message and H.E.C.K. will contact you to discuss our next clinic. Come into the clinic at #101- 431 Winnipeg Street, Penticton, B.C. Canada on the day of a clinic. Phone our office at 778-476-2050, but know that we are not there to receive your call, except during clinic events. The answering machine may not receive recorded messages. We reply to email messages as soon as we can – usually within a day or two. Visit us at our clinic to fill out a “medical history form, bring proof of low income and your Care Card number as well as a list of any medications that you may be taking. At that time we will book your exam appointment. We require 24-hours notice if you are unable to attend your appointment time. Thank You for respecting what we do. Access the clinic from the alley on Wade Avenue, not from the main entrance on Winnipeg Street. Look for our H.E.C.K. sandwich board and our front door.